Barely a year away from his 90th (!) birthday, Clint Eastwood keeps on chugging as a filmmaker. In 2018, he directed two films: 15:17 to Paris and The Mule, the second of which became Eastwood’s first lead acting role since 2012’s Trouble with the Curve. Paris pretty much bombed, but Mule found a pretty decent audience. While its $103 million US didn’t compete with his high-water mark – 2014’s American Sniper took in a massive $350 million, easily Clint’s biggest hit – it still seemed solid for a small, character-oriented tale. 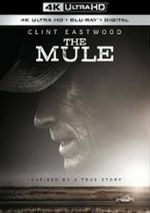 Inspired by a true story, Mule features Earl Stone (Eastwood), an elderly loner who struggles to make ends meet. Desperate for money, he agrees to a job that simply requires him to drive. As he soon discovers, this makes him the world’s oldest drug courier. He does well, as no one suspects that a crusty old war veteran would serve as a mule for Mexican cartels, and he gets additional assignments. 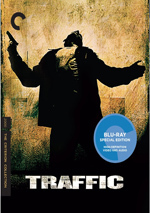 Earl attracts the attention of DEA Agent Colin Bates (Bradley Cooper), and that leads to potential peril. As Earl tries to remain a free man, he also confronts aspects of his past and bad choices he made connected to family. On the surface, Mule looks like a “gimmick movie”. A tale about an old man who secretly drives drugs to various locations seems pretty high-concept and likely to focus on the improbable scenario more than anything else. Below the surface, that remains the main thrust of Mule, though the elements related to Earl’s family add depth – potentially. Unfortunately, these feel more like window-dressing than real substance. As depicted here, Mule offers an oddly bifurcated experience. Whereas the first half tends to embrace the comedy of the situation – ie, the high-concept stuff I mentioned earlier – the second hour attempts to go down a more serious path. This doesn’t work, partly because Eastwood’s heart doesn’t seem to be into the dramatic elements. He crackles with energy when he gets to cut loose and portray Earl as a slick old gadabout, but once the movie follows a more somber route, he seems less invested. Honestly, Mule seems like it confronts more serious themes more because it “should” than because it wants or needs to do so. It seems like Eastwood felt conscious of his status as an Oscar-winning director, one who can’t make a frivolous comedy about an elderly drug runner. Because Mule appears so much less interested in the dramatic moments, they come across as forced and unconvincing. People Earl alienated for decades suddenly embrace him for no real reason other than the script says so. All of this seems awfully simplistic and unmoving. If Eastwood developed the drama in a more natural manner, maybe he’d handle the shift in tone better, but as depicted, the movie changes gears in an abrupt and off-putting way. At least Mule brings half of a pretty good film, though. The comedic parts don’t feel especially fresh or creative, but they still entertain, largely due to Eastwood’s performance. Clint makes Earl a fun character but not a jokey “wacky grandpa”. He imbues personality into the role and simply seems to have a great time as he engages in the part’s natural charm. Eastwood surrounds himself with a strong supporting cast. In addition to Cooper, we find talents like Dianne Wiest, Laurence Fishburne, Michael Pena and Andy Garcia, all of whom bring credibility to their roles. But this remains Clint’s party, and when he allows The Mule its inherently comedic moments, it entertains. Unfortunately, the movie’s somewhat unconvincing shift to drama means it becomes less than satisfying as a whole. The Mule appears in an aspect ratio of approximately 2.40:1 on this 4K UHD Disc. This turned into a largely appealing presentation. Sharpness usually satisfied, with only a smattering of soft shots in a few interiors. Instead, most of the movie seemed accurate and well-defined. The image lacked shimmering or jaggies, and it also demonstrated no edge haloes. Print flaws remained absent as well. In terms of palette, Mule emphasized a mix of light teal and amber. These hues didn’t dazzle but they felt appropriate for the story at hand. The disc’s HDR capabilities added some emphasis to the tones. Blacks looked dark and dense, while shadows felt smooth and concise. The HDR boasted stronger contrast and whites. I thought we got a well-rendered transfer. A dialogue-heavy affair, the DTS-HD MA 5.1 soundtrack of Mule lacked much breadth to its soundscape. Music showed good stereo presence and some scenes – mainly on the road – boasted a bit of involvement, but not a lot added to the sonic experience. Audio quality satisfied, with dialogue that came across as natural and concise. Music showed nice range and warmth. Effects didn’t have much to do, but they stayed accurate and lacked distortion. Again, this wasn’t a dynamic mix, but I thought it suited the story. How did the 4K UHD compare to the Blu-ray version? Both brought identical audio, as they came with the same DTS-HD MA 5.1 track. Visuals showed the usual 4K UHD improvements, mainly via the HDR. That element brought out stronger colors and contrast. We also got somewhat superior definition, so expect a moderate upgrade over the Blu-ray. The set’s extras appear on the included Blu-ray copy. A featurette called Nobody Runs Forever lasts 10 minutes, 59 seconds and includes comments from actor/director Clint Eastwood, producers Tim Moore and Kristina Rivera, screenwriter Nick Schenk, production designer Kevin Ishioka, property master Mike Sexton, camera operator/2nd unit director Stephen S. Campanelli, supervising location manager Patrick Mignano, costume designer Deborah Hopper, and actors Ignacio Serricchio, Andy Garcia, Alison Eastwood, Bradley Cooper, Laurence Fishburne, and Michael Pena. “Runs” examines story/characters, cast and performances, sets and locations, vehicles, props and costumes. We get a decent overview of some production areas but don’t expect a lot of insight. A Music Video for Toby Keith’s “Don’t Let the Old Man In” also appears. This just uses the song to accompany a montage of movie clips. It’s pretty blah. The disc opens with ads for The Curse of La Llorona, A Star Is Born (2018) and They Shall Not Grow Old. No trailer for Mule appears here. Clint Eastwood returns to acting for the first time in six years as the lead in The Mule. While his performance enlivens a potentially trite affair, the movie’s shift from comedy to drama hobbles its overall level of success. The 4K UHD brings positive picture and audio but supplements remain minor. The Mule deserves a look but don’t expect consistency from it.